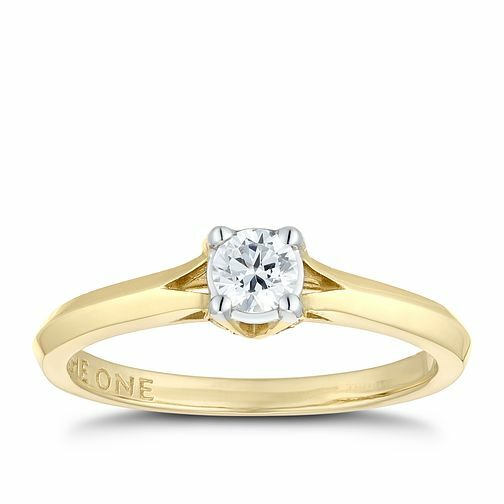 A diamond ring from The One is as unique as you. This 9 carat yellow gold ring is set with a solitaire round 1/4ct diamond, set to capture the light from every angle in an elegant and poised manner. Every ring comes with a diamond passport showing the journey of your individual diamond, from the original rough diamond to the finished stone. A unique ID number is inscribed on each individual diamond guaranteeing its quality and each diamond comes with a GSI certificate showing its colour, clarity, carat and cut.